Easy Fix - Can iCloud Lock Be Removed? If you have recently purchased any used or refurbished Apple Device that has the iCloud lock feature activated, you cannot use the device until the lock is opened. This means that the previous owner of the device still has it linked to their iCloud account and not allowing you to login to the device. The only way to gain access to your device and be able to use it is removing the iCloud lock. But the real question is can iCloud lock be removed? How to do it? Fret not, as you can easily remove the iCloud lock without visiting the Apple Store. Read on and learn how you can easily login to your device and start using it by following a few simple steps. Part 1. Can iCloud Lock be Removed? Part 1 – Can iCloud Lock be Removed? 1 What is iCloud Lock? iCloud Lock or Activation Lock is a feature of Find my iPhone which was designed to prevent theft of the device and to prevent anyone from using it other than the owner of the device. When the owner of any Apple device enables or turns on Find my iPhone feature, the iCloud lock is automatically activated. With iCloud lock, no one can use the device without the credentials Apple ID and password of the owner even if the device was reset. This makes it difficult that can iCloud Lock be removed without having the Apple ID. Unfortunately, iCloud lock can’t be removed if someone has purchased a second-hand iPhone or an iPad that is still linked to previous owner’s iCloud account and there is no way to contact the previous owner, the device is literally unusable. For the consumer, this is very frustrating spending hard earned money on purchasing your device and then not being able to use it. 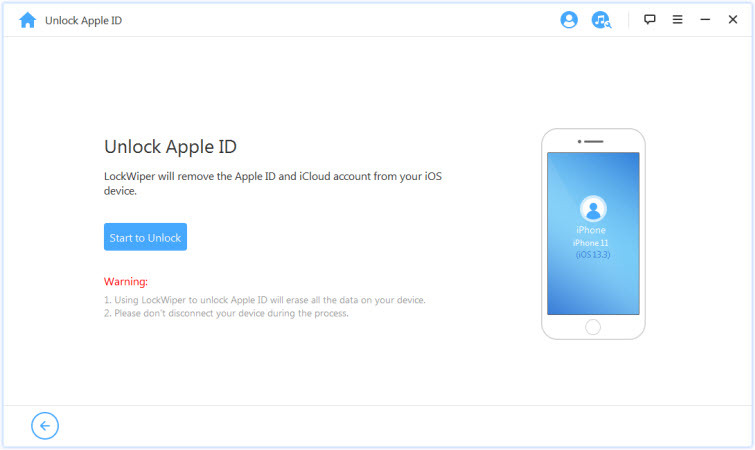 A massive demand arose, and the consumers questioned, can iCloud Lock be removed? Which led to finding ways on how remove the iCloud lock. 2 Can iCloud Lock be Removed? It is impossible to unlock the iOS device without the Apple ID and password. However, given the need of the consumer, you can remove iCloud lock with the help of removal tools to unlock iCloud. There are various websites that claim to provide professional services to successfully unlock iCloud activation lock on iOS devices. However, when it comes to removing iCloud lock you should be very careful in choosing the right service provider so as not be scammed. The Appleiphoneunlock.uk is a service provider that permanently removes the iCloud lock from the device, unlinks it from previous owners iCloud account and allows the new user to set up and activate the device. They charge £19.99 (approx. $27 USD) and take 1 to 3 days to remove iCloud lock from the device. The other way to remove iCloud lock is through IMEI number of the device. 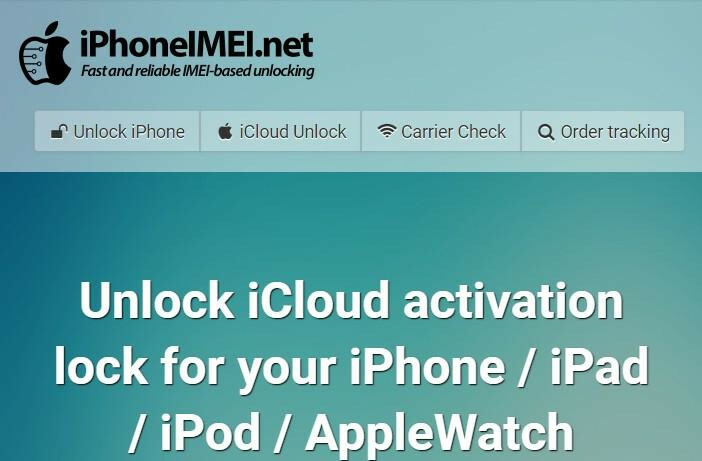 The service provider iPhoneIMEI.net uses IMEI number of the iOS device to permanently remove the iCloud lock and unlink it from previous owners iCloud account. It charges £39.99 (approx $50 USD) per device, per unlock and take up to 3 days to remove the iCloud lock. Unfortunately, there is only one reliable way to remove iCloud lock if you don’t want to use lock removal tools. The best way is to contact the previous owner and get their account information, Apple ID and password to unlock the device and remove iCloud lock. The good news is that iCloud account on activated iOS devices can be unlocked without a password. iMyFone LockWiper is one professional and reliable lock removal tool that can remove iCloud account without entering the password. iMyFone LockWiper is a software that makes it easier to remove iCloud without entering the password and helps in unlocking screen and Apple ID for all iOS devices. With its user-friendly and distinct features iMyFone LockWiper can help resolve all your device iCloud problems with ease. The greatest feature of iMyFone LockWiper is its ease of use. The software is user-friendly, anyone can use it, no technical skills needed. The software is compatible with all versions of iOS, including the latest versions of iPhone and iOS devices (iPhone XS and iOS 12). It can unlock 4-digit, 6-digit passwords as well as touch and Face ID too. It also allows to unlocking disabled iOS devices. 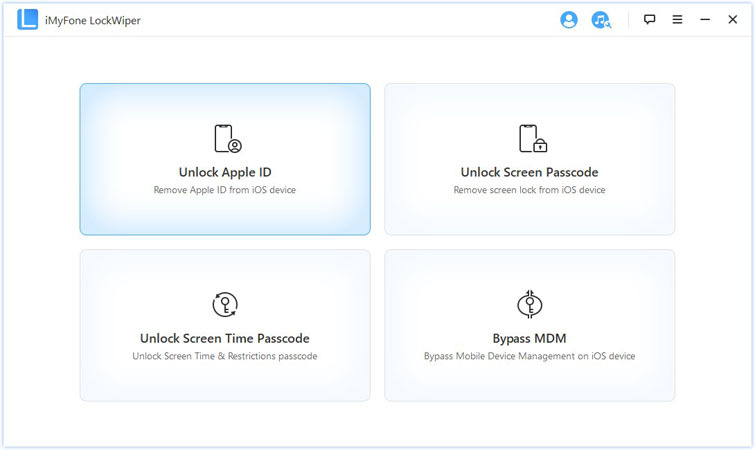 If you’ve forgotten your Apple ID or iCloud account details of the passcode for your iPhone, you can use iMyFone Lock Wiper to unlock your device following these easy steps to unlock Apple ID. Step 1. Download iMyFone LockWiper application on your computer. Step 2. Launch the application and choose mode “Unlock Apple ID”. Connect your iOS device to the computer via the USB. Step 3. Click Start to Unlock to unlock Apple ID and to remove iCloud lock from your device. Step 4. If Find My iPhone is disabled on your device, the process will be started immediately. If Find My iPhone is enabled, please set it up first by resetting all settings on your device following the steps. 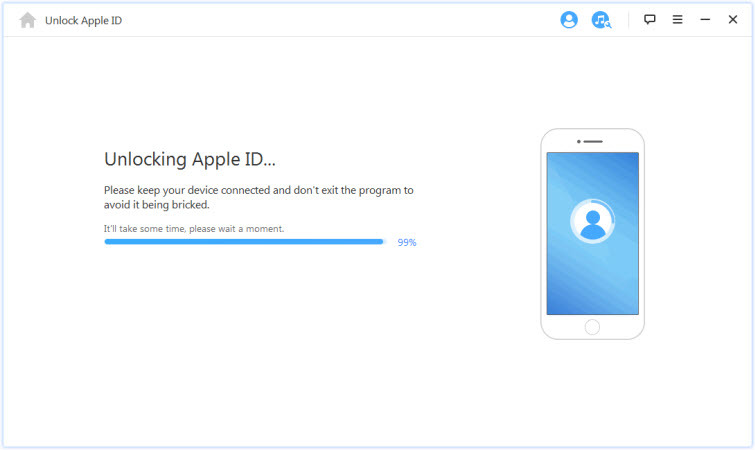 After that, the previous Apple ID will be removed easily if the device is already activated. iMyFone LockWiper is an incredibly fast, effective and reliable way to remove iCloud without Apple ID password. A few simple on-screen instructions and you have unlocked device right there in your hand in a matter of few minutes. The interface is very user-friendly and simple making it easier for anyone to use. With so many iCloud removal tools, iMyFone LockWiper is the most reliable and the best choice tool that can help solve the Apple ID problem in just no time at all. Its security feature and ease of use makes it a useful tool. Try the trial version to see how to it works.